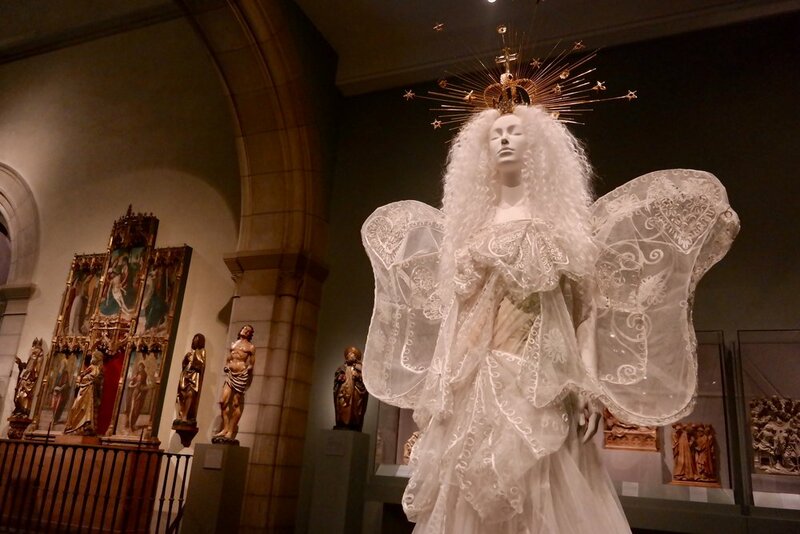 The Metropolitan Museum of Art and The Costume Institute has gifted us with yet another spectacular exhibit, Heavenly Bodies: Fashion and the Catholic Imagination. The 2018 Spring exhibition explores the influence that Catholicism has had on several designers, most of whom had been raised in the faith. The display of garments and accessories are clad with religious iconography that includes feathered wings, golden halos, and shooting stars. Although the current relationship status between the designers and the Roman Catholic church varies, the impact it has had on their work is unmistakable and undeniable. I truly believe that few things in our lives effect the psyche the way love and religion do. In the spirit of pilgrimage, Heavenly Bodies is a journey in trilogy that begins in the Byzantine and medieval art galleries. It is an ideal home for a most fashionable cast of popes, nuns, bishops, knights, and angels as the space with its soaring ceilings and arched entries already resembles a gothic chapel. The bodies are placed amongst existing artwork and stained glass windows, some floating high above on pedestals, in a way that makes them feel as if they were always there. Moving downstairs into the Anna Wintour Costume Center is a large collection of papal robes and accessories from the Sistine Chapel sacristy. With close inspection, it is not hard to see how strongly fashion resonates with the church. Elaborate embroidery, bejeweled tiaras, and fine fabrics are the foundation for nearly 40 articles that span more than fifteen papacies. The journey concludes uptown at the Met Cloisters where its Romanesque architecture provides a slightly austere background. This selection of works has a strong reference the Virgin Mary, the Holy Sacraments, and monastic life. On display are wedding gowns with rosaries and capes and robes that mimic the shapes and silhouettes of the clergy. 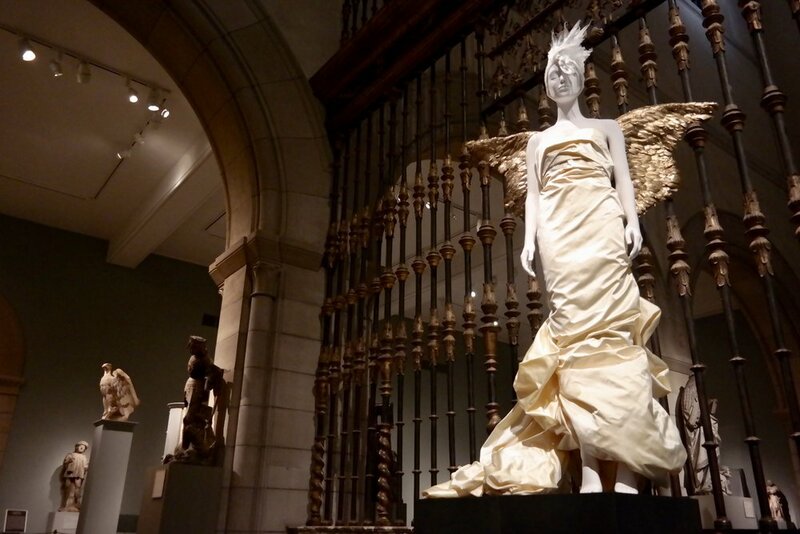 Heavenly Bodies: Fashion and the Catholic Imagination is remarkably visually stunning and regardless of one's religious affiliation will leave you with a fashionable spiritual experience.